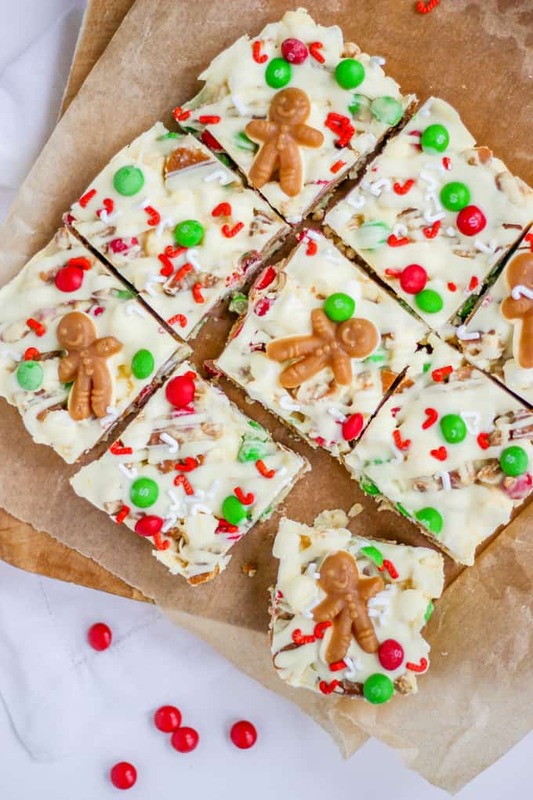 Christmas Rocky Road – The perfect festive sweet or dessert for Christmas. 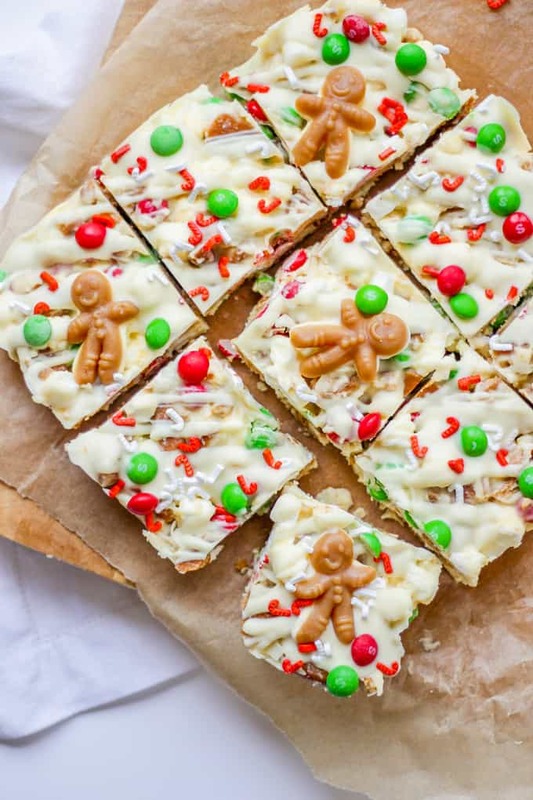 Make this no bake treat in December for parties or homemade gifts for friends and family. Are you ready for Christmas? I’ve just finished my wrapping tonight, in front of the fire, watching some trashy TV (domestic scene of joy or what?). I do love me some Rocky Road. Easy, impressive and delicious. What’s not to love in a sweet treat? This Christmas Rocky Road is practically a necessity for sustenance to get you through any wrapping related sagas. 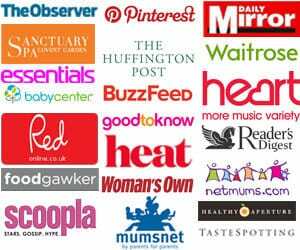 These would make such a fab gift to give to friends or family. Chop them into smaller chunks and pop them into cellophane bags ties with ribbon. Make sure you do allow the chocolate and butter to cool before adding anything else or marshmallows will melt. Still tasty but not quite as pretty. If the slab is too hard to cut straight out of the fridge, allow to come to room temperature for 30 minutes. If you’re looking for Christmas sprinkles, there’s a really lovely mixture here on Amazon: Scrumptious Sprinkles Christmas Sprinkletti Jingletti. 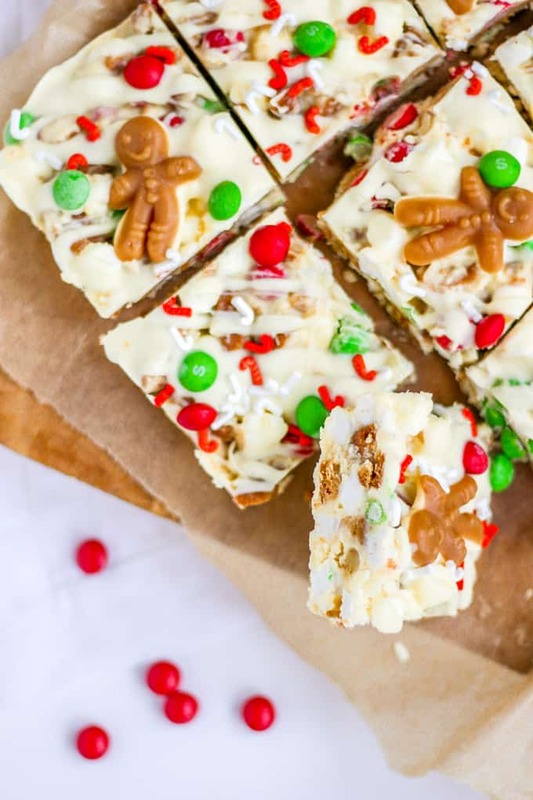 Christmas Rocky Road - The perfect festive sweet or dessert for Christmas. 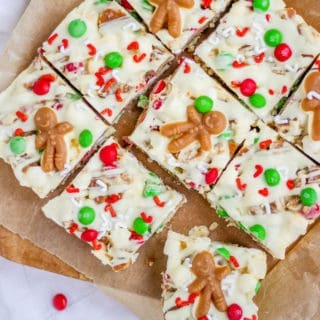 Make this no bake treat in December for parties or homemade gifts for friends and family. Melt the butter and white chocolate gently in pan over a saucepan of simmering water. Stir until smooth and allow to cool for 10 minutes. Add the crushed biscuits, marshmallows and sweets and press into a small roasting pan, lined with baking paper. 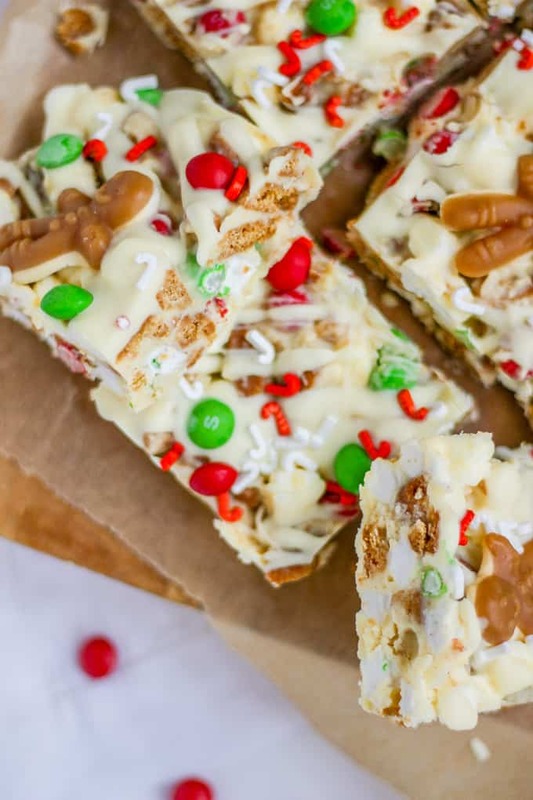 Melt the remaining white chocolate, drizzle over the top and add decorations. Chill for about 2 hours. Remove from the fridge and cut into chunks.